The reason I like this book is because it's unique. It's not just another romance fic, it's more real. Personally, I think of this book as something to read as just a pick up novel, but it's not really boring. Yes, it's more of a narrative book than a action-y book, but I think that's good for a quiet read. I like how the book doesn't completely focus on the romance aspect, but instead it answers if they get together or not at the end. I feel like the book left us on a cliffy, so I would've liked an epilogue. I love epilogues. :)i love all the characters in this book because they're all so different. What with Issy's sight problems, and her mother's laziness, and the one nice girl, and her father's hearing, I feel like it's all a great compilation. Plus the part where they make the dresses and worry over patterns reminds of old-fashioned stuff, which I like. It overall kind of gives you a blast to the past, but still with a modern twist. I would absolutely recommend this as a sitting by the fireplace novel, because it's not too long, but something that will actually capture your attention. Liked the first book "Seven for a Secret" and enjoyed this one just as much. Canadian content (makes me proud!) and Newfoundland lifestyle - rings true. Satisfactory story for teen girls without the fuss and hype of usual teen angst novels. Characters have substance and quality. Have visited NFL so enjoyed this tale and included map very much. 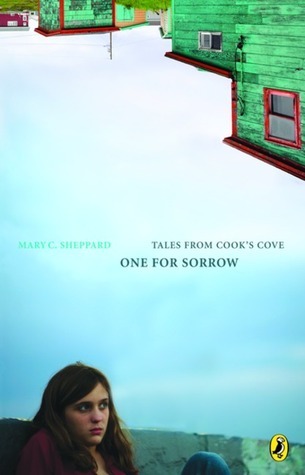 Will follow along with the next "Tales from Cook's Cove'. Very good read. Love that it is based allIn a small town in Newfoundland and gets a good feel for life there.